Our traditional halls are reserved for freshman housing. There are three types of traditional-style housing: two-, three-, and four-person rooms. Two-person rooms feature one room with two occupants and community restrooms. Three-person rooms feature an oversized room with three occupants and community restrooms. Four-person rooms feature two rooms with four occupants and community restrooms. Undergraduate females are eligible to live in Fulmer, our only traditional non Freshman Experience residence hall. In all of our traditional halls, student staff present programs to meet the needs of the variety of students. Each traditional room will have two of the following: desk, desk chair, wardrobe, dresser, and bed. There is a network (Ethernet) jack and cable TV outlet for each room. There are two suite-style buildings on campus, Woodruff Hall on the West Campus and Harris on the East. Suites have two two-person rooms connected to a full bathroom. Each side of the suite style rooms will have two of the following: desk, desk chair, wardrobe, dresser, and bed. There is a network (Ethernet) jack and cable TV outlet for each room. In the Woodruff South Hall there are fourteen single suites. Single suites are two private furnished standard rooms with a connected semi-private bath (28 rooms only). Each room has the standard compliment of furniture but with a full bed, task chair, chair and a half, micro fridge, 2 wardrobes, multi-purpose cube, and simulated wood flooring. Apartment-style halls feature full kitchens, furnished living areas, and private bedrooms with semiprivate bathrooms. 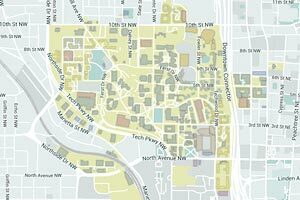 Our apartments are located on east, west, and north campuses. Most apartments are four-person however there are a limited number of two and six-person apartments available. Each apartment bedroom contains one bed, desk, desk chair, wardrobe, and dresser. The apartments have a living room furnished wth a dining table and chairs, sofa, chairs, an end table, and a coffee table. Kitchens have a sink, dishwasher, stove, oven, microwave, and refrigerator. There is an network (Ethernet) jack and cable TV outlet in each bedroom. The dimensions below are the most common, however, due to model and manufacturing changes all measurements should be taken as approximate. All furnishings must always remain in the room, suite, or apartment and cannot be removed or placed in storage. Furniture from lounges and/or study areas cannot be moved or exchanged with any room, suite, or apartment furniture. 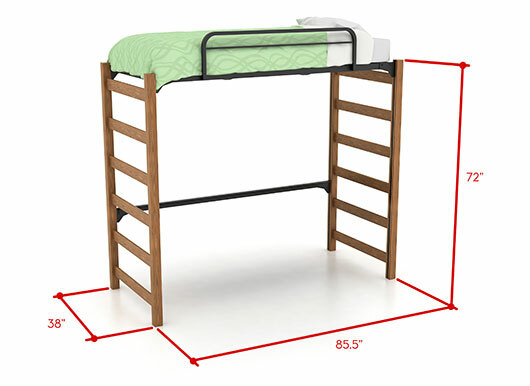 Height: Varies - see Lofted Beds for information. 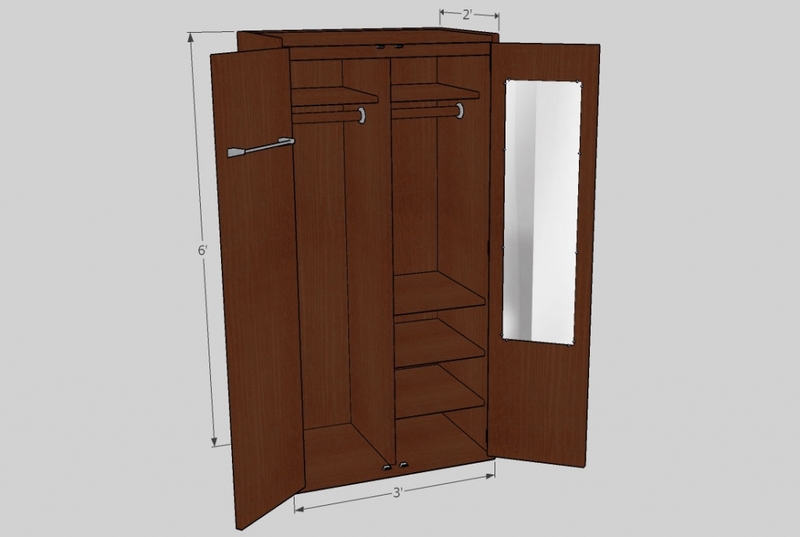 Note: the shelves on the right side of the wardrobe are movable. 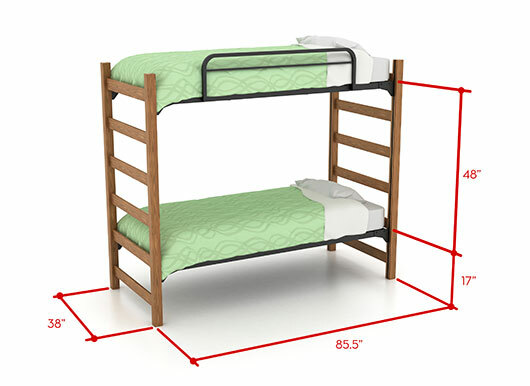 Lofts may not be constructed or erected in any residence hall room; however, some rooms do contain beds that can be arranged in multiple configurations. A description of the different configurations is listed below. 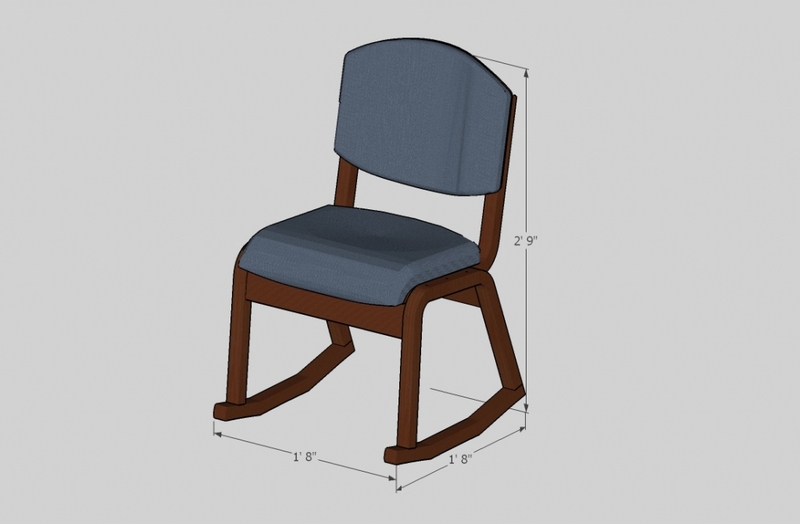 Please see the individual building pages for specific furniture information based on the type of building. Georgia Institute of Technology Department of Housing is in the process of purchasing adjustable beds. Most beds, however, have the ability to be raised and lowered. All self-adjusting beds shall only be adjusted by Housing maintenance staff or contractors of the Department of Housing. Students and/or parents are not permitted to raise or lower the beds themselves. Beds must stay in the adjusted position placed by the Department of Housing or their authorized contractor. 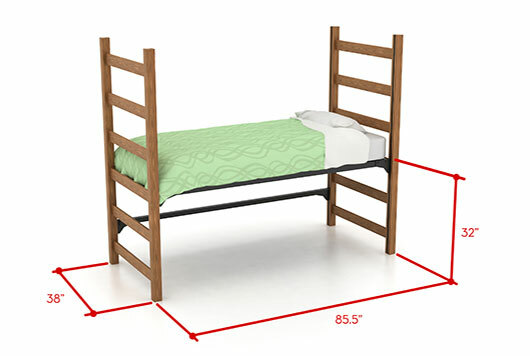 Bed rails must be used on all beds that are adjusted higher than forty-four (44) inches to the top of the mattress. 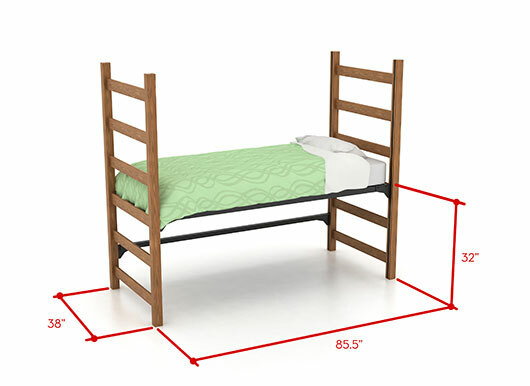 Students and parents are not permitted to remove bed rails while the beds are in any position higher than forty-four (44) inches. Students are also expected to keep the bed rails in their room or apartment. Students will be charged for any missing bed rails. Students signing their contract agree to a waiver of liability as a condition of raising the bed. Students who require ADA accommodations must self-identity with the Department of Disability Services. Special channel locks on each bed end allows a variety of positions from the bottom of the frame to the top. Any adjustment to a bed MUST be made by Housing personnel only. After you move into your room you may place a request to have your bed adjusted. Complete a Maintenance Request online. 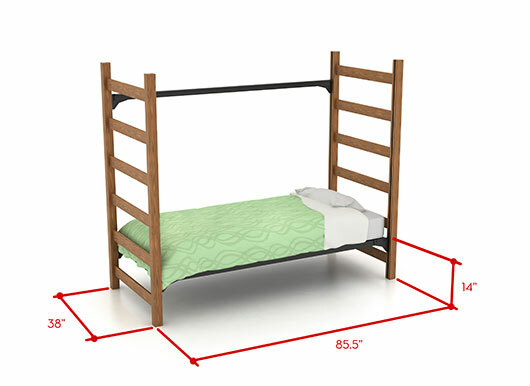 One bed is in the low position with another bed above it in the high position. Can also be configured with one bed in the medium position and one in the high position. This configuration requires an end of the bed remain clear of other furniture to allow one to climb into bed. 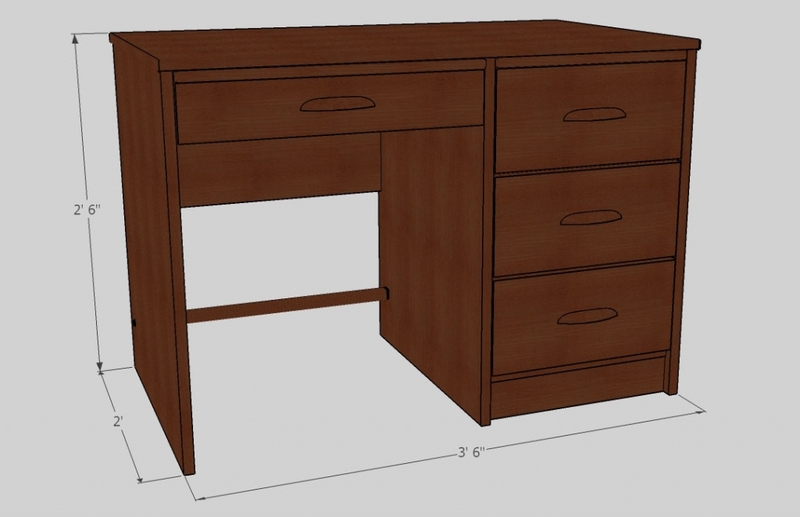 Bed is elevated to allow dresser and desk to fit under the bed. Height is approximately 6 feet from the floor. 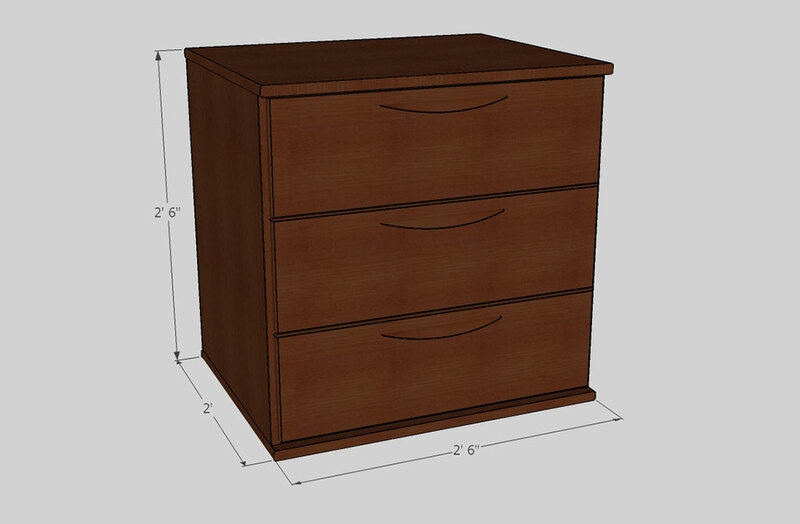 This setting allows a dresser to be placed under the bed. Height is approximately 3 feet off the floor. Bed is on the floor with 8 inches of clearance from the floor to the bottom of the frame.